Under the Zika AIRS Project (ZAP) funded by USAID, Abt Associates is working to prevent Zika outbreaks by implementing, monitoring, and evaluating mosquito-control activities in Latin America and the Caribbean. ZAP will enhance the agency’s ability to implement vector control and entomological monitoring programs. 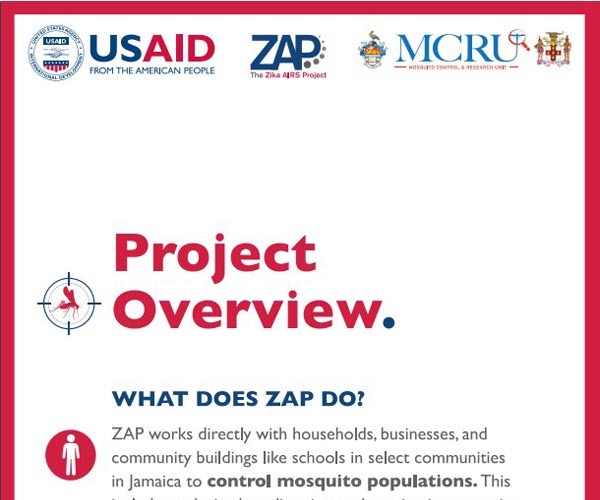 These resources are focused on ZAP's efforts in Jamaica.